Shopping with one young child is difficult. Shopping with two young children is almost impossible. You either have to take a double stroller, search for the few shopping carts with two seats, or place one child directly into the cart. In our Buggy Bench Review here we found that it made shopping with two children much easier. It creates a second seat in a regular shopping cart. This is a perfect cart cover for moms of twins or two young children. Occasionally you will find a store that has a couple shopping carts with two seats, but generally there is only one seat per cart. That’s why you will love the Buggy Bench if you are the mom of two young children. It allows you to place one child in the regular shopping cart seat, and then place a 2nd child in the attachable Buggy Bench. You don’t have to worry about your child getting up and turning around when they are using the Buggy Bench. After they slide their legs through the openings, you can fasten a safety belt that keeps your child safely in place. 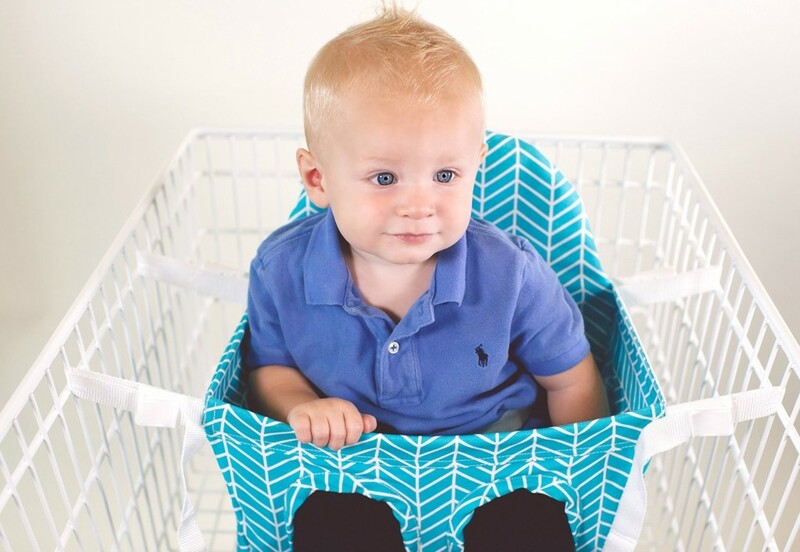 Your child can use this cart seat once they hit the recommended age of eight months and are sitting up on their own. They can continue to use this product until they reach 40 pounds, which means it is perfect for an older baby or toddler. Unlike other bulky cart covers, it is very convenient to take the Buggy Bench along with you on shopping trips. It folds flat so you can easily store it in your car or a diaper bag. Are you looking for a cart seat that is easy to clean? The high-quality, sturdy material is machine washable. Just remove the plastic and pop it into the washing machine. The Buggy Bench attaches to the cart with four sturdy straps. It may take you 2-3 minutes to get all four straps fastened. Once you have done it a few times, you get faster. Those extra couple of minutes are worth it to be able to take your two young children to the store hassle free. If you are the mom of twins or two young children, check out the Buggy Bench. It makes shopping with two little ones so much easier.